We discovered a lack of support for foreign property speculators in Italy. We started our consultancy service in order to meet that need. We strive to make the market more available, and the process more transparent. SteiVell offers advisory in the entire search – and purchase process, and have helped fulfill Italian dreams since 2007. We make your Italian dream more available. Feel most welcome to talk to us. We work with selected areas of northern Italy, from ancient towns in Liguria, well known wine districts in Piemonte, and the traditional sites of Tuscany, to the lakes of Lombardy and to the fresh and marvelous area of Trieste on the East Coast. Our service is for you who is looking for a property in Italy, regardless of size and reason. We have fulfilled Italian dreams since 2007 and look forward to fulfill also yours. We offer a portfolio of carefully selected properties, and a network of leading brokers and builders. We also cooperate with other actors, represneting services you may need. We are a Swedish based company with private- as well as commercial customers. Anna Gravell, founder of Steivell Properties and passionate about the beauty, the lifestyle and culture of Italy, started the company in 2007 to let more people get access to the best of the Italian property market, in a safe way. After experiencing the purchase procedure in Italy herself the “hard way”, Anna got the idea to make it easier for others. The property market and purchase procedure was difficult to grasp and filled with obstacles for a foreign buyer; which seemed to be the reason why many Swedes bought in nearby countries instead of in Italy, while still dreaming of Italy.. No well established Swedish agency for Italian property existed at that time, so Anna got hold of advice and contacts in other ways, and found fantastic possibilities, not visible enough to Swedes or foreigners. She wanted to share her knowledge and help others find their own dream piece of Italy. And that’s the background of our company. 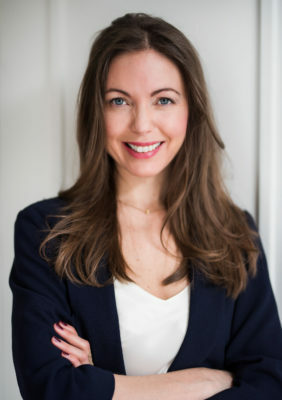 Anna’s previous experience lies primarily within marketing, sales and business development, and she gained her master of science (MSc) in Business and Economics at Stockholm University. Terragente Real Estate is run by Jenny Pehrson, registered Real Estate Agent in Italy with many years experience in the Italian and international property market. Jenny is Swedish born and raised, now resident in Italy and an entrepreneur with a well developed analytical ability and great drive. The drive comes from a deep passion for the Italian property market and lifestyle, renovation projects, investments and helping others to achieve their dreams of Italy. Terragente Real Estate has it’s base in Piedmont but sells properties in many regions of Italy and expanded the business significantly in 2018 with the acquisition of Swedish based Steivell Properties AB, with a solid client base and an exclusive portfolio of properties in Liguria, Tuscany, Lombardy, Friuli Venezia Giulia, Marche, Lazio and more. It’s important to us that you feel safe about us managing your personal data in a secure and legal way. We treat your personal data according to data protection legislation. This means that we protect your personal data according to laws and that you can always contact us to know which data we have from you. Personal data is information that can be linked to your person directly or indirectly. It can be a name, email adress, phone number, postal code and birth date. What does treatment of personal data mean? Treatment of personal data includes for example collection of data, registration, distribution, processing and thinning of data. – In order to fulfill our mission towards you. – In order to give you good service and offer well functioning, efficient and simple services. – In order to reply to your questions sent in via website or email. – In order to send you newsletters and relevant information.